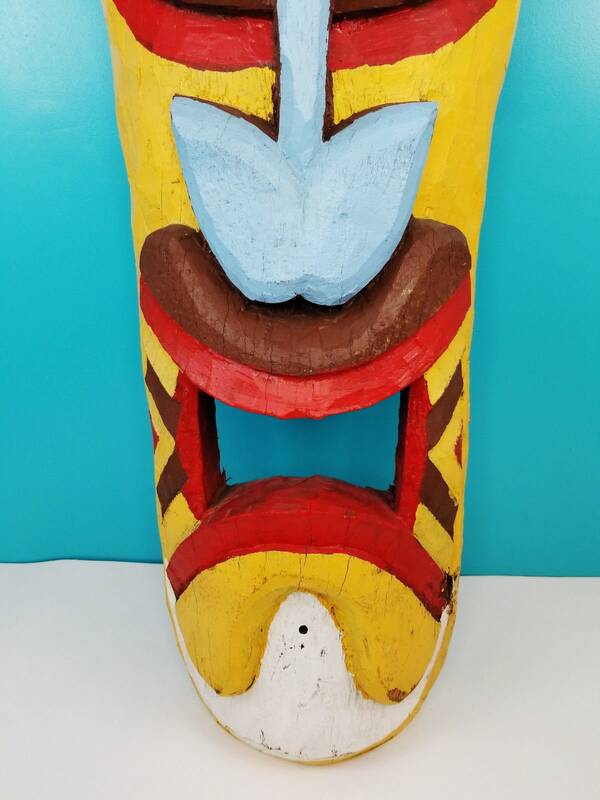 If you've been looking for the perfect statement piece for your tiki bar, lounge or patio? 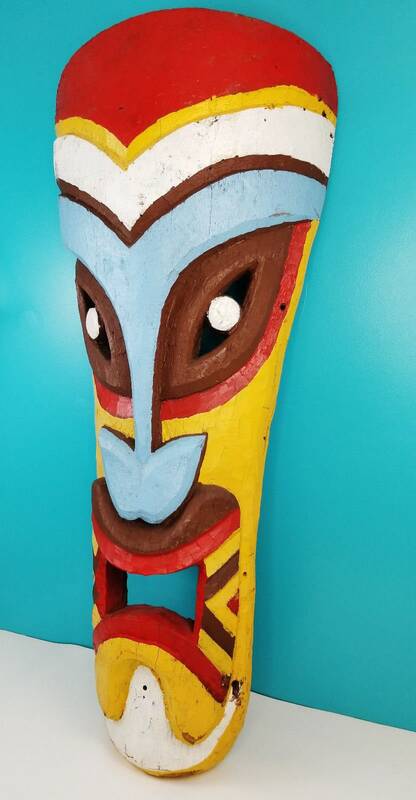 This massive carved tiki face is truly a rare one-of-a-kind original art piece that will have your friends hula dancing with envy! 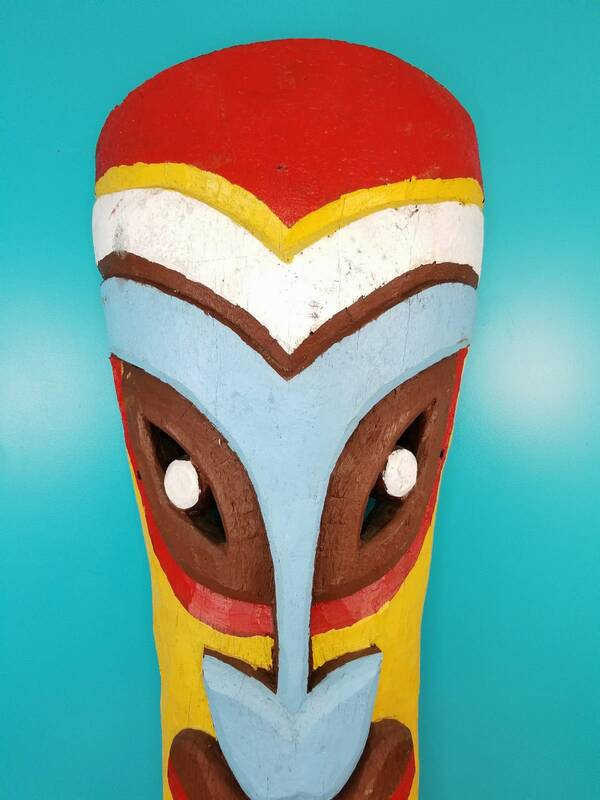 This was brought to the USA from the Pacific Islands in the mid-century and was preserved in great condition with minor scuffs only. 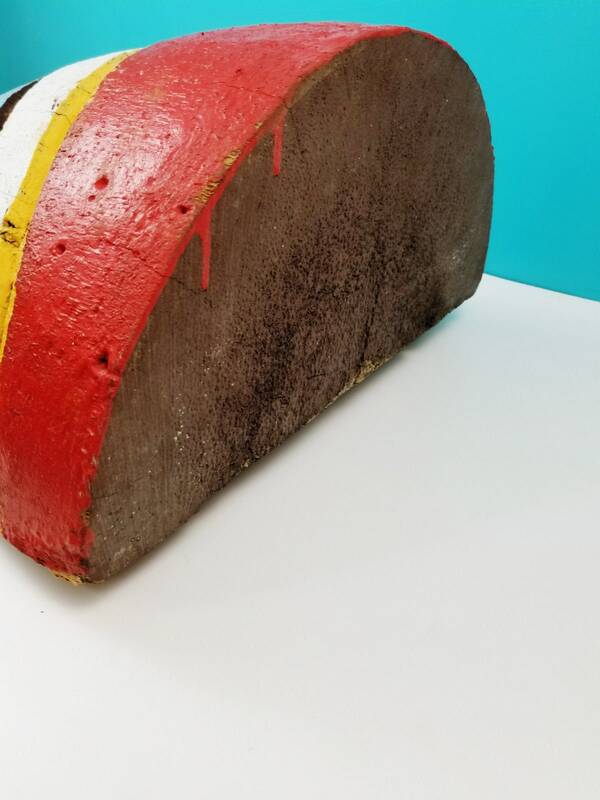 The bright paint is original and shows a few holes where it had been mounted differently prior to affixing the steel wire on the backside. 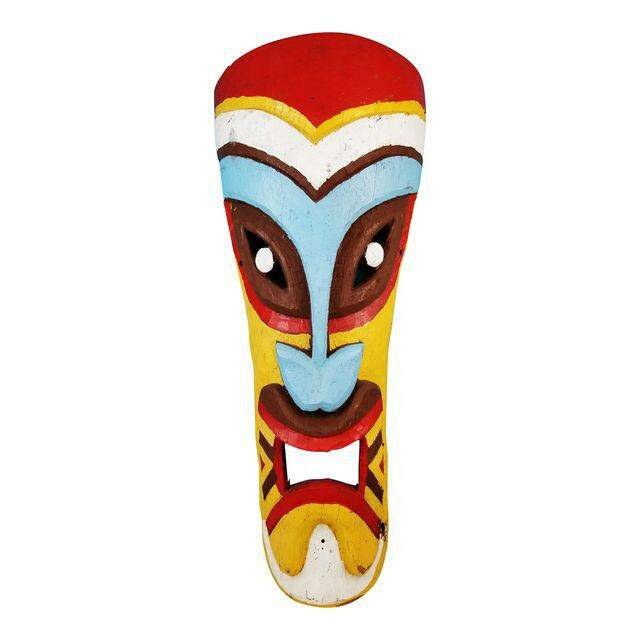 This is very heavy and was carved from a solid tree. Please see all photos for details! 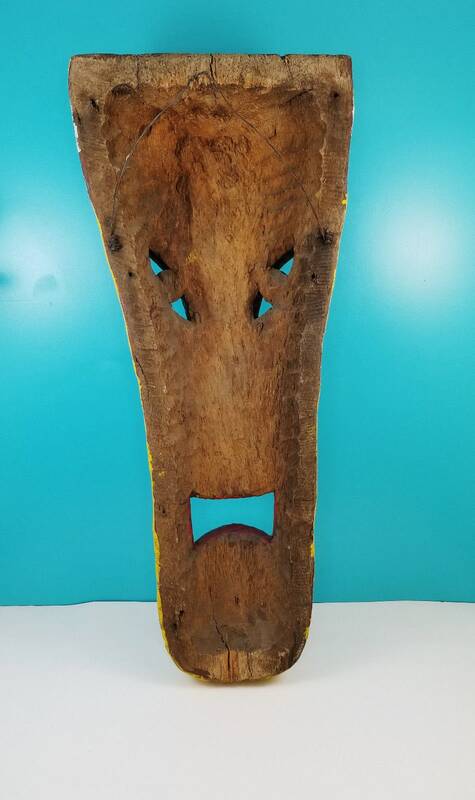 Please see our collection for the other original large tiki face we have available.